The intersection of Lincoln, Southport and Wellington is being called the city's first "people street." The effort aims to create environments that are more people friendly. 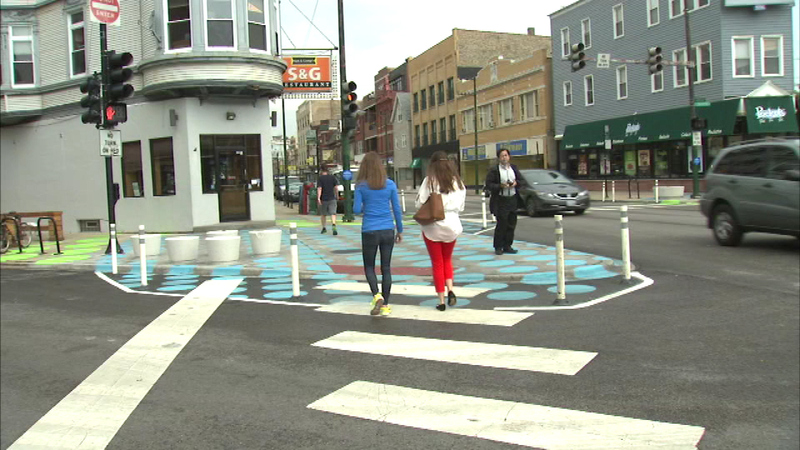 CHICAGO (WLS) -- A four-block stretch in the Lakeview neighborhood now features polka dots painted on pedestrian walkways, with new planters and concrete stools. The program is slated to be extended to 10 other locations this summer.